Your mouth is a jungle! Like everywhere else in your body, your mouth is loaded with billions of bacteria constantly on the move. While some bacteria are harmless, others can attack the teeth and gums. Harmful bacteria are contained in a colorless sticky film called plaque, the cause of gum disease. If not removed, plaque builds up on the teeth and ultimately irritates the gums and causes bleeding. Left unchecked, bone and connective tissue are destroyed, and teeth often become loose and may have to be removed. Gum disease is not just a matter of oral discomfort, bad breath and loose teeth, but in fact it can also affect other parts of your body including some internal organs such as pancreas and heart. If you’re dedicated to following a pretty good oral care routine and still have stained (or yellow) teeth and bad breath, you may have a bacterial imbalance in your mouth. Other signs that bad bacteria are gaining a strong foothold include poor tooth and gum health and bleeding gums. The harmful and beneficial bacteria in your mouth are directly at odds with one another. They compete for space on the teeth and food. If the bad bacteria are winning that war, one way you’ll know is in the smell of your breath. The harmful bacteria that reside in the mouth produces volatile sulfur compounds (VOCs) which are best known for their rotten-egg smell. Now, your breath doesn’t have to smell like rotten eggs to know that bad bacteria and VOCs are causing foul play. Bad breath is a sign that things are not right, and one simple way to rectify the situation is to address the bacterial imbalances in your mouth. Probiotics are live microorganisms that when administered in adequate amounts confer a health benefit on the host. The human body is teeming with bacteria and other microorganisms. Some bacteria are good for you. Unfortunately, some cause harm, even infection and disease. The most commonly referred bacteria in the probiotic category are Lactobacillus acidophilus. However, there are many other beneficial strains. Research has shown that not only are probiotics beneficial for digestive and immune health, they can also affect your oral health. The human mouth is awash with bacteria. 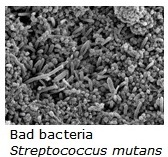 More than 700 species thrive in the hot, moist conditions, including Streptococcus mutans, one of the main components of plaque. Clinging to the teeth in thin layers called biofilms, S. mutans digests sugars and produces acids that can eat into enamel and cause cavities. Oral probiotics protect against the bacteria that cause inflamed tissue, tooth and tissue decay and bad breath. Oral probiotics can protect your mouth, gums, teeth and throat from cavities, gum discomfort, sore throats, biofilm on your tongue, bad breath and even ear discomfort. Probiotics kill the bacteria, like h.pylori that cause ulcers and bad breath. This is done by making hydrogen peroxide. In oral cavity, probiotics can create a biofilm, acting as a protective lining for oral tissues against oral diseases. Such a biofilm keeps bacterial pathogens off oral tissues by filling a space pathogens would invade in the absence of the biofilm and competing with cariogenic bacteria and periodontal pathogens growth. Probiotics can reduce the risk for a high Streptococcus mutans level occurrence. An in vitro study has suggested Lactobacillus rhamnosus GG can inhibit colonization by streptococcal cariogenic pathogens, and therefore reduce tooth decay incidence in children. A study reported a reduced tooth decay incidence in children taking probiotic L. rhamnosus GG-enriched milk versus a control group of children taking milk without probiotic enrichment. Another study showed that bovine milk fermented with Lactobacillus reuteri was effective against S. mutans, resulting in a reduced risk for tooth decay. Also, in a comparative study of S.mutans reduction effects by probiotic administration, showed a reduced S. mutans level in patients receiving probiotics. In another study probiotics effects were assessed after administration; a reduced S. mutans level versus control group was found. Effects of an ice-cream containing Bifidobacterium lactis on S. mutans and Lactobacillus level in saliva were assessed; a significantly reduced level was observed for S. mutans, but not for Lactobacillus. Effects of lactic strains used as probiotics in oral cavity were evaluated; Streptococcus thermophilus and Lactococcus lactis strains were shown to reduce cariogenic bacteria levels (particularly Streptococcus sobrinus and also Streptococcus oralis, Actinomyces naeslundii, and Veillonella dispar). The effect of probiotics on gingivitis and different grades of periodontitis was studied; probiotics treatment resulted in better microbiota normalization than control group. Researchers showed a significantly reduced gingival index and bacterial plaque amount in patients treated with L. reuteri than in a placebo group and concluded that this probiotic was effective to reduce gingivitis and bacterial plaque deposition in patients with moderate-to-severe gingivitis. High levels of Lactobacillus in microbiota caused an 82% and 65% inhibition in Porphyromonas gingivalis and Prevotella intermedia growth, respectively. Researchers used L. reuteri-containing probiotics in 42 healthy patients and assessed its effects on crevicular fluid volume, cytokine (interleukin-1β, interleukin-6, interleukin-10, and TNF-α) levels, and bleeding on probing. Crevicular fluid volume, as well as TNF-α and interleukin-8 levels, and bleeding were significantly reduced. A study showed that three types of bacteria were commonly associated with fresh breath. Six other types of bacteria were also found in people with bad breath. 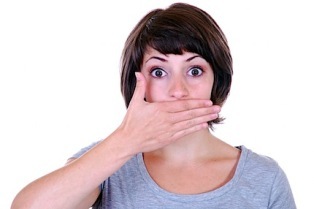 Regular use of probiotics can help to control bad breath. After taking Weissella cibaria, reduced levels of volatile sulfide components produced by Fusobacterium nucleatum were observed; the effect could be due to hydrogen peroxide production by W. cibaria, causing F. nucleatum inhibition. Streptococcus salivarius also suppress volatile sulfide effects, by competing for colonization areas with volatile sulfide-producing species. How is Oralzym-F different from a digestive probiotic? All probiotics are not the same. Oralzym-F is one of the best clinically shown probiotics specifically created for oral health. Oralzym-F contains a unique blend of 17 strains of beneficial oral probiotics including Lactobacillus reuteri, S. salivarius (BLIS K12 and BLIS M18 ), ‏Streptococcus thermophilus, Bacillus coagulans and Lactococcus lactis designed to restore the balance and strengthen the defense mechanisms of the mouth. Oralzym-F is a professional grade oral probiotic that contains the MOST POWERFUL beneficial probiotic blend ON THE PLANET. Oralzym-F is the latest in major advancements for the care of your oral health. Oralzym-F is absolutely the world’s best and the one and only probiotic product for complete oral care. Oralzym-F is a probiotic concentrate used as a mouth rinse to reduce plaque buildup, gum irritation and bad breath. Oralzym-F is made for rebalancing of oral bacterial flora. It represents a whole new level of oral care, one in which good oral health is supported and maintained with good microflora –just the way nature intended. Oralzym-F is the first microflora rinse specifically designed for complete oral care. This all-in-one product supports gum and tooth health and naturally freshen breath while gently whitening teeth. Oralzym-F activates and attachs themselves to the teeth and gum tissue, establishing colonies of live, active beneficial microflora both on the surface of the teeth and deep beneath the gum line. These colonies compete for both nutrients and space with the harmful oral bacteria that disrupt gum and tooth health, as well as cause bad breath. With daily replenishment, the powerful 17 strains of beneficial probiotics used in Oralzym-F helps to reestablish the natural microbial balance in the mouth for healthy gums and teeth, fresher breath and whiter teeth. 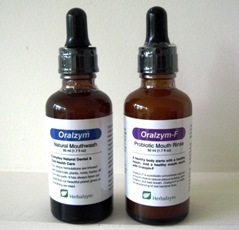 Oralzym-F is the most powerful probiotic on the market and is an effective way to readily aid complete oral health. Oralzym-F can be used just like mouth rinse. Put 1-3 drops of Oralzym-F into your mouth using the dropper and then rinse mouth with water for at least 30 seconds and spit. You may also gargle with the diluted Oralzym-F for a healthier tongue, throat, and to stop and cure bad breath. It’s Fast-Acting. You can actually Feel Sensational Results within a Few Seconds. Don’t drink any water after you do this step. This should be the last step before you go to bed. For best results, use Oralzym-F after brushing teeth with Oralzym. Do not eat or drink for 5 minutes. Oralzym-F delivers results below the gum line and gets to the root of oral care needs. Many dental care products are antibacterial or antiseptic. This shotgun approach kills oral bacteria indiscriminately and disrupts the bacterial balance in the mouth. While this approach may provide short-term superficial results, it can ultimately increase the imbalance of opportunistic bacteria. For example, antibacterial mouthwashes that claim to wipe out 99.9% of bacteria fail to mention that the bacteria repopulate in about an hour, often leaving the upper hand to the harmful bacteria. Within one to two hours after using antibacterial mouthwash or breath freshener, the surviving 1% of the bacteria remaining in the mouth can repopulate the full level of harmful bacteria that was present in the mouth before the product was used. This indiscriminate destruction of bacteria creates ongoing imbalances in the microflora that naturally inhabits the oral cavity. The powerful microflora in the mouth are natural antagonists to the odor creating bacteria, quickly colonizing to create a healthy balance of microflora and resulting in longer lasting, truly fresher breath. On the other hand, the blend of beneficial oral microflora created in Oralzym-F crowd out the harmful bacteria by colonizing in the same places bad bacteria like to hide and by competing for the same nutrients. Daily use of oralzym-F is the fastest, easiest and most effective way to naturally promote oral health and economically replace mouthwashes and breath fresheners. Within 4-5 days of using Oralzym-F three times daily, the natural healthy oral balance of good microflora will be greatly restored and you will begin to notice healthier gums, brighter smile and long-lasting fresh breath. Oralzy-F contains: 100% natural plant based enzymes, Peppermint, Specialized 17 different strains of oral probiotics. 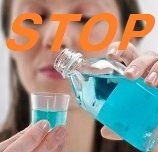 Warning: Stop “Listerine-ning” your Mouth….Top Mouthwash Brands linked to Oral Cancer! You no longer have to put harmful chemicals, toothpastes and irritants into your mouth (most of which can make your gums even worse). Oralzym-F does not contain fluoride, chemicals, artificial colors, preservatives, additives, artificial flavors, alcohols, and animal by-products. Keep out of reach of children. Avoid direct contact with eyes. Store in a cool, dry place.